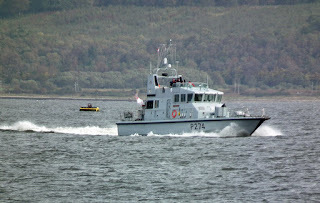 An unusual sight for a Tuesday afternoon, Loch Shira off hire! 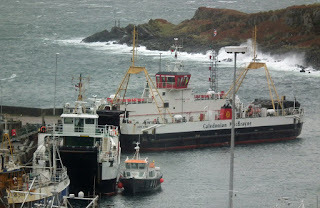 Merry Christmas from all at ClydeNavalGazing! 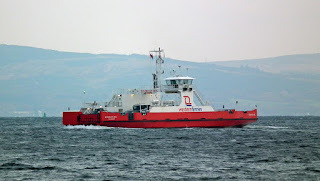 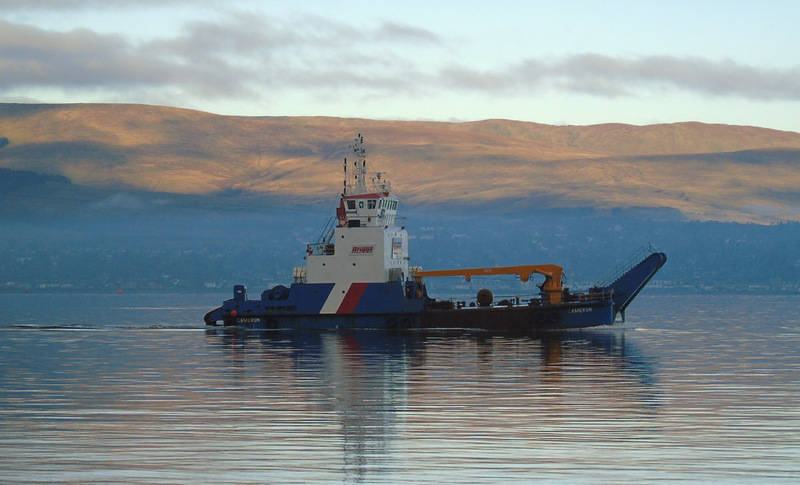 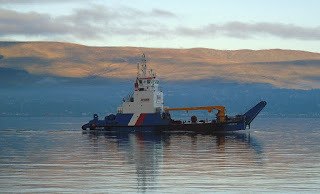 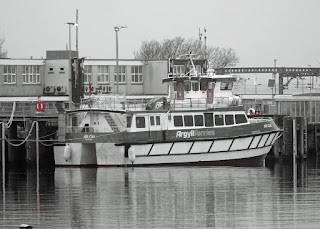 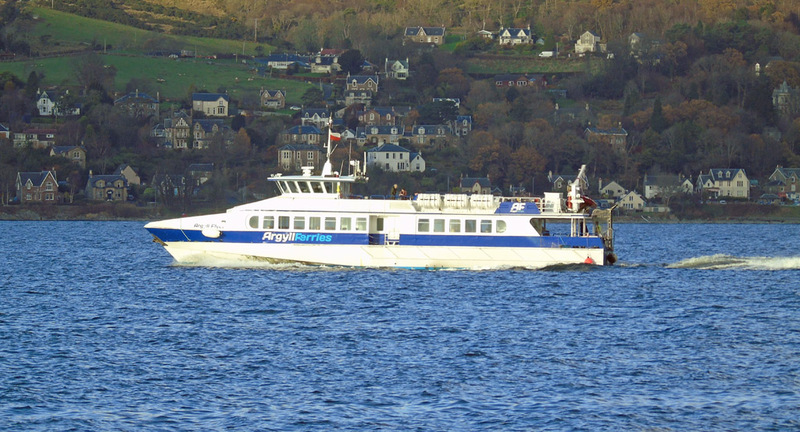 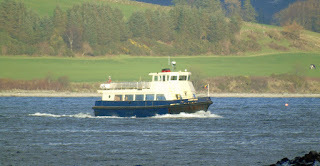 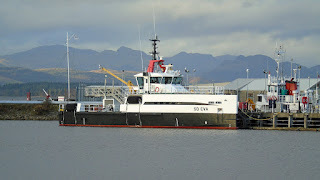 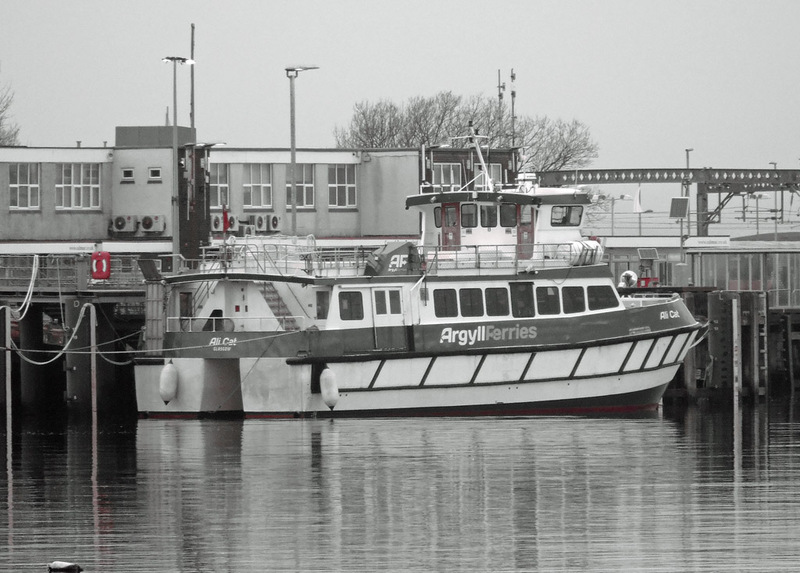 Argyll Ferries' Ali Cat off hire at Gourock 23 December 2018. 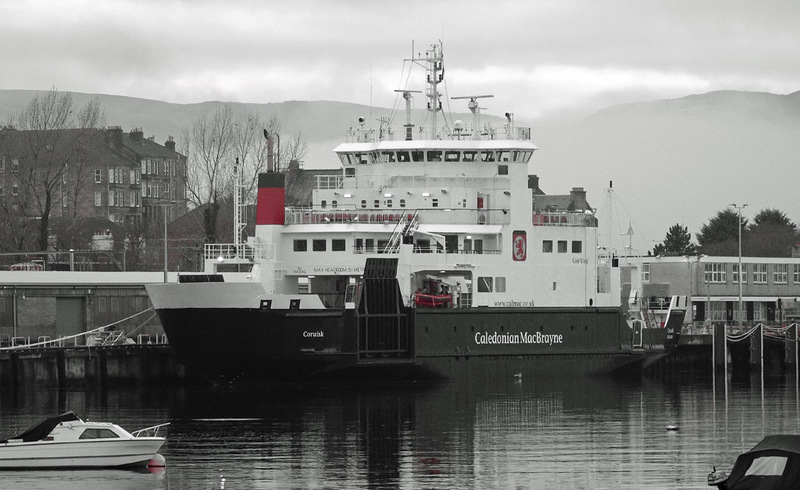 Caledonian Macbrayne's Coruisk in its usual winter hideaway at Gourock 23 December 2018. 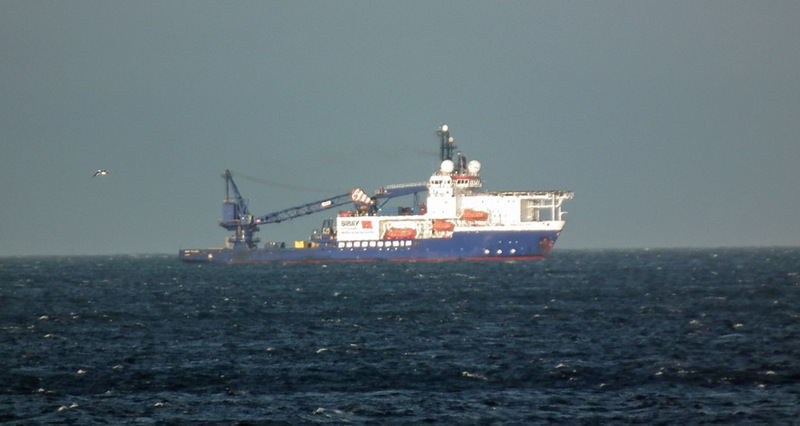 Briggs' Cameron inbound for Great Harbour 23 December 2018. 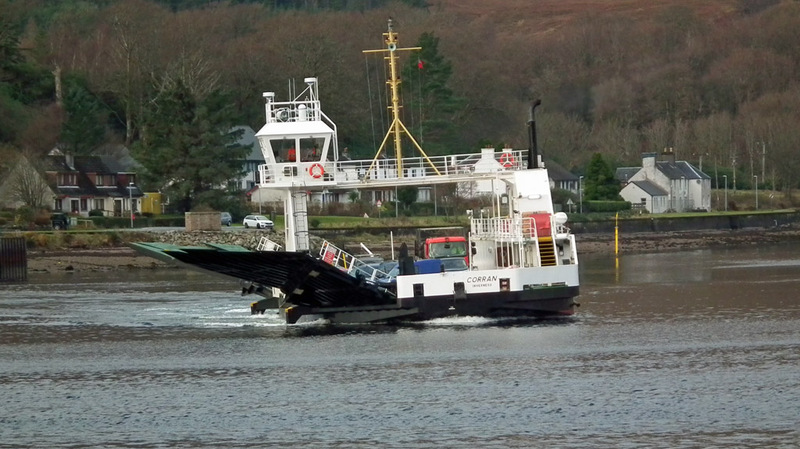 Western Ferries' Sound of Seil on service 13 December 2018. 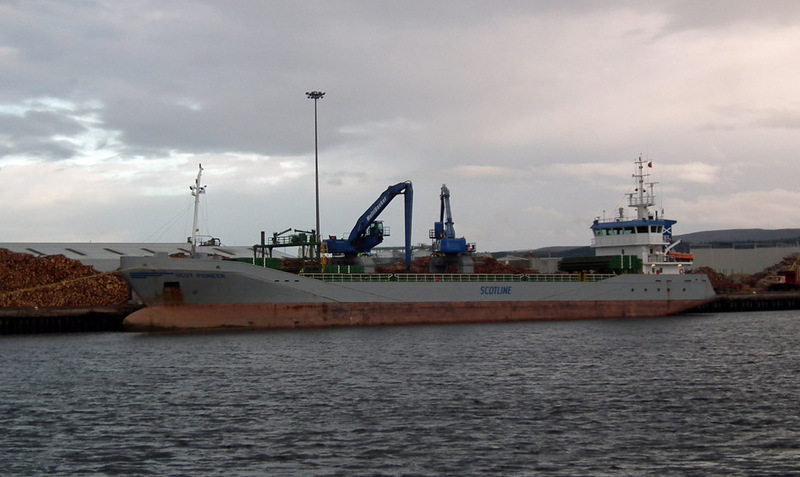 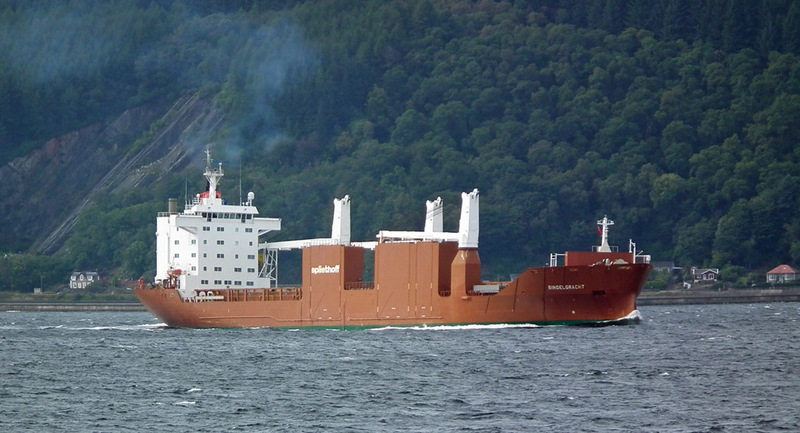 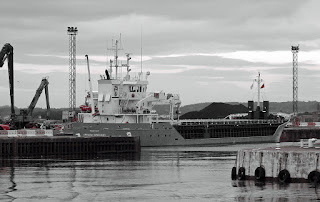 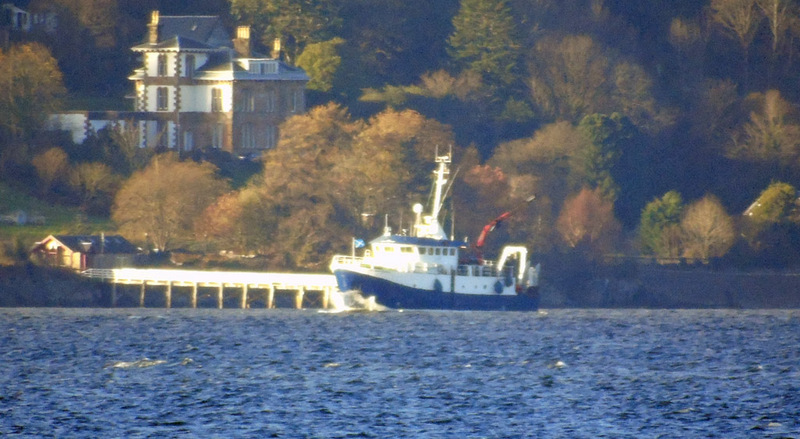 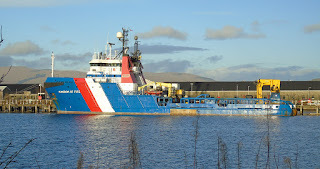 Nether Lochaber spare vessel Maid of Glencoul at anchor 11 December 2018. 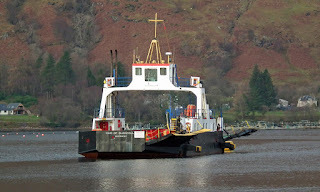 Nether Lochaber ferry Corran on service 11 December 2018. 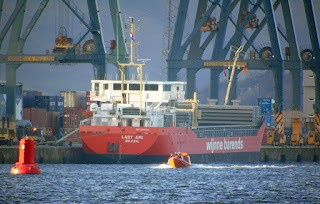 Wijnne Barends' coaster Lady Ami at GOT 09 December 2018. 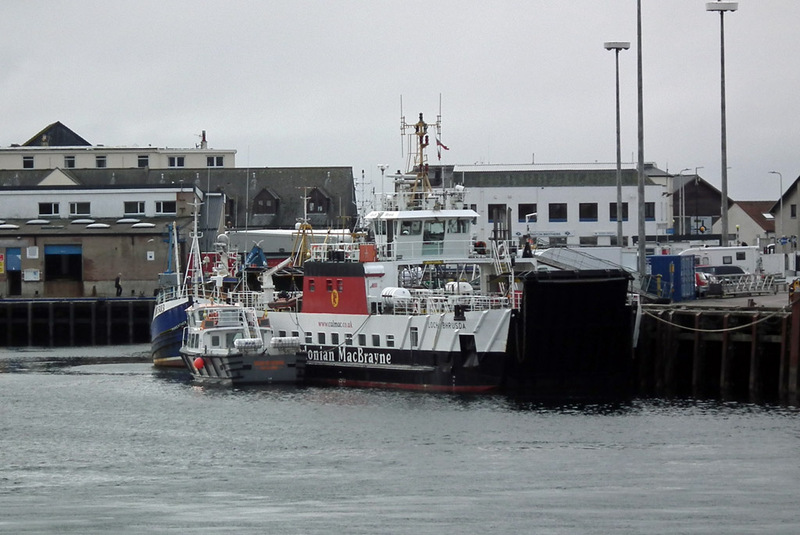 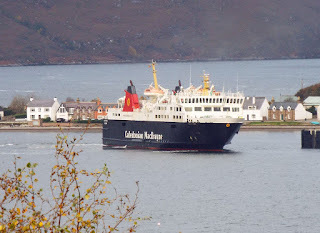 Hebridean Princess in JWD 09 December 2018. 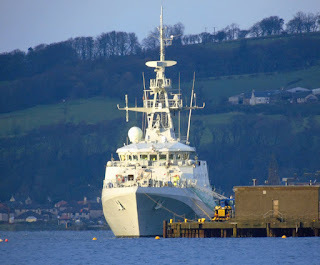 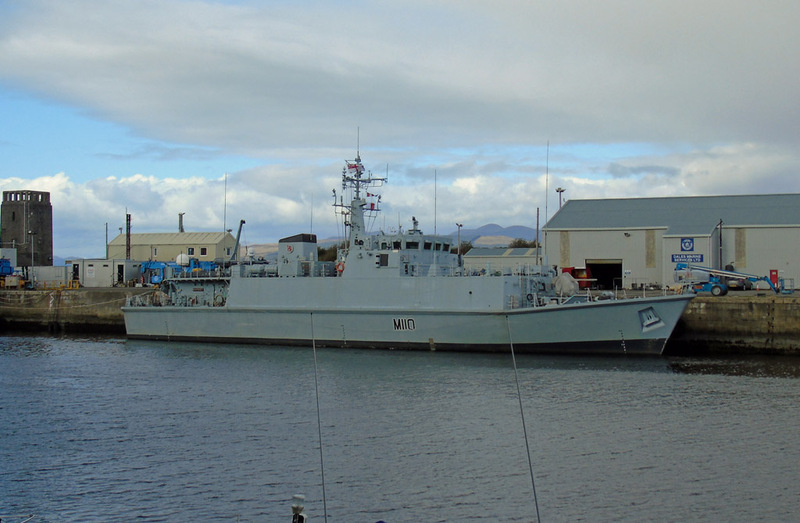 Briggs' support vessel Kingdom of Fife in Great Harbour 09 December 2018. 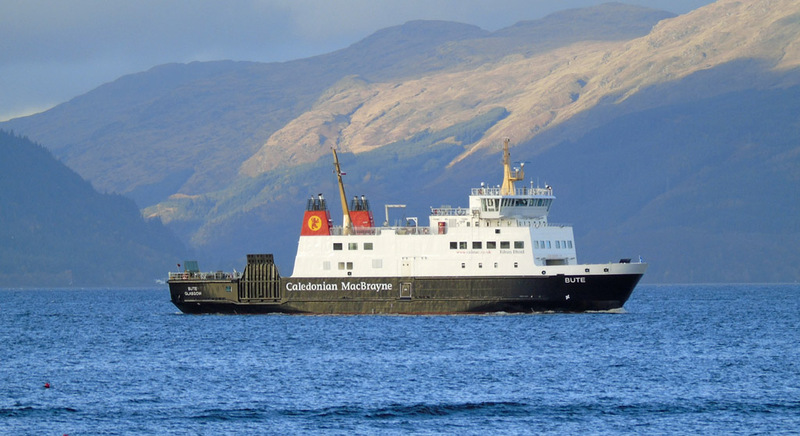 Caledonian Macbrayne's Hebridean Isles outbound for Ardrossan 09 December 2018. 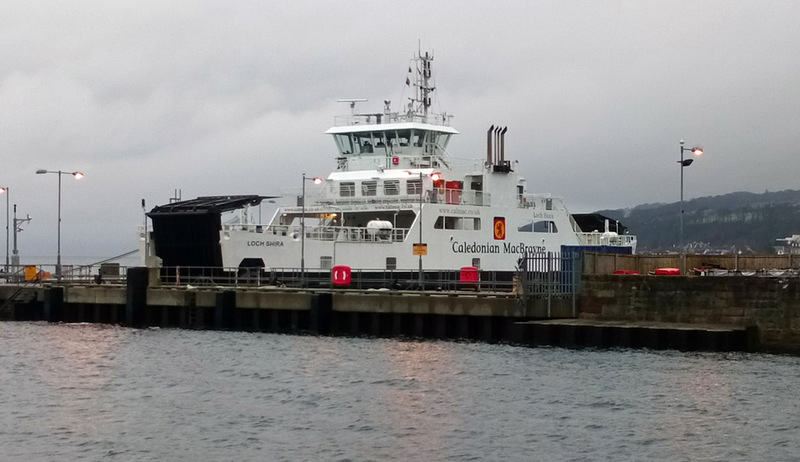 Caledonian Macbrayne's Rothesay ferry Bute completes annual overhaul in JWD 02 November 2018. 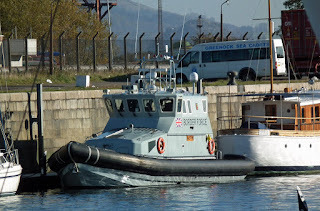 Border Force's HMC Active (ex BP ARRC David), last seen in Portsmouth Harbour, in JWD 02 November 2018. 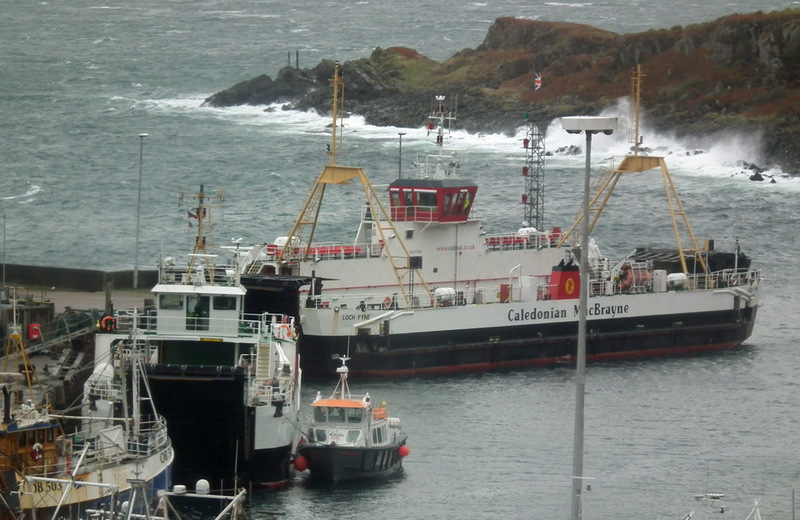 Previous incumbent Isle of Lewis stands in for the damaged Loch Seaforth on the Stornoway run 25 October 2018. 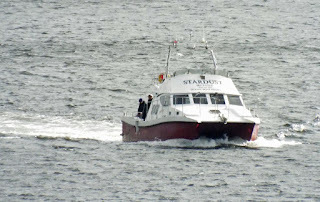 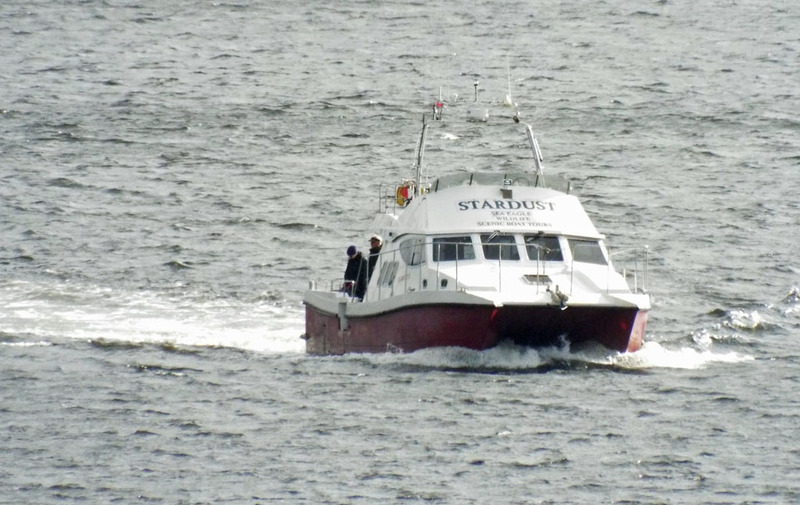 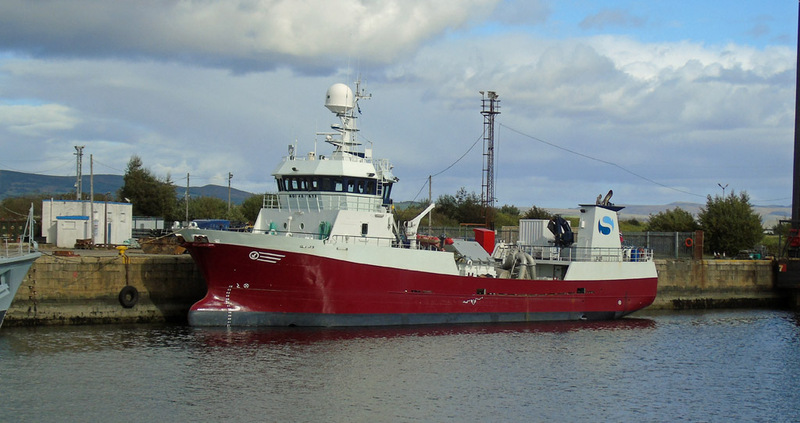 Wildlife tour vessel Stardust II inbound for Portree 10 October 2018. 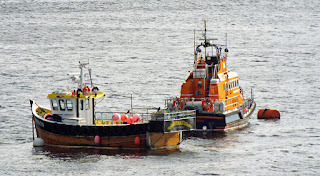 Fishing boat Serene (BRD75) in Portree Harbour with RNLB Stanley Watson Barker (14-16) 10 October 2018. 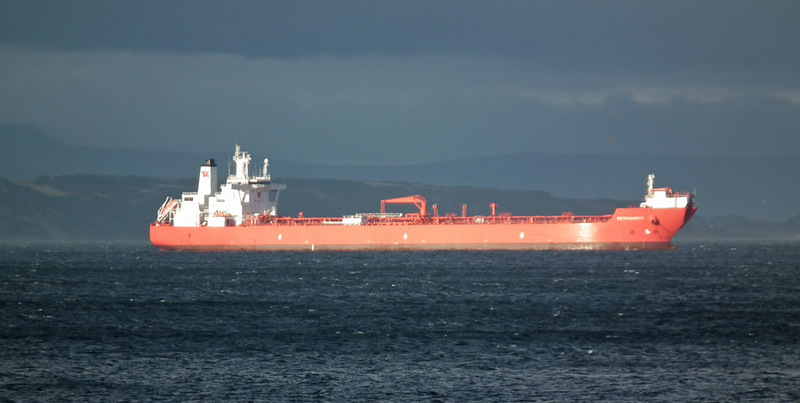 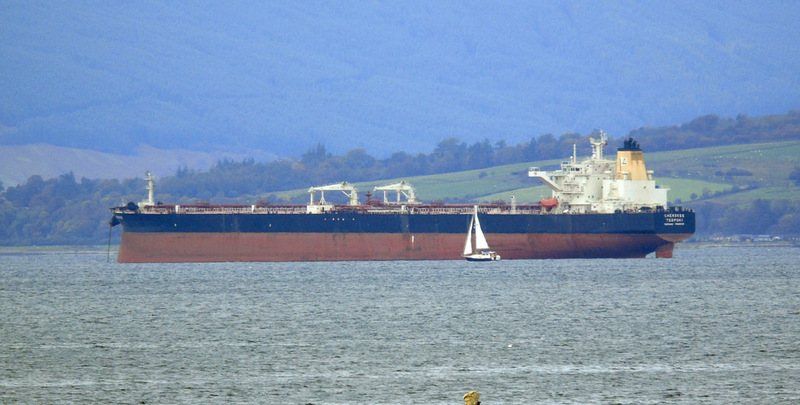 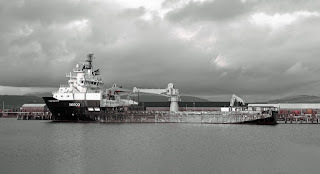 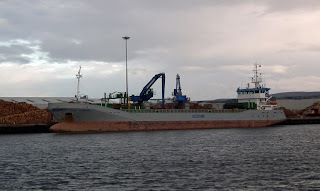 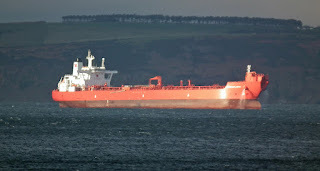 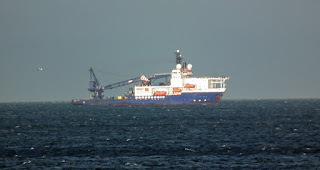 Tanker Petronordic off Nairn 23 October 2018. 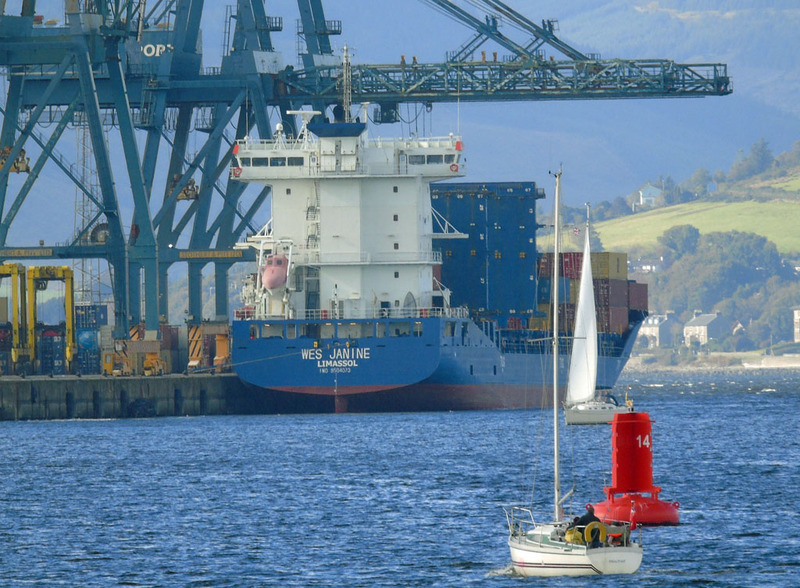 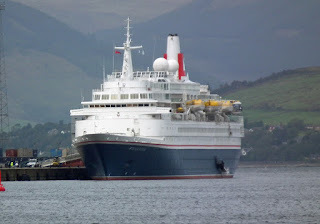 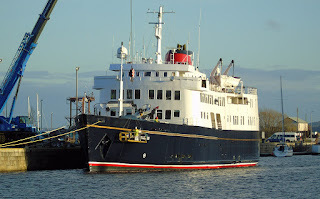 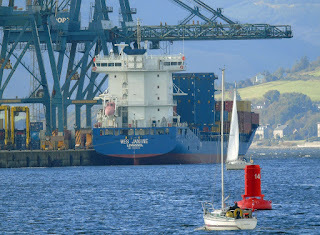 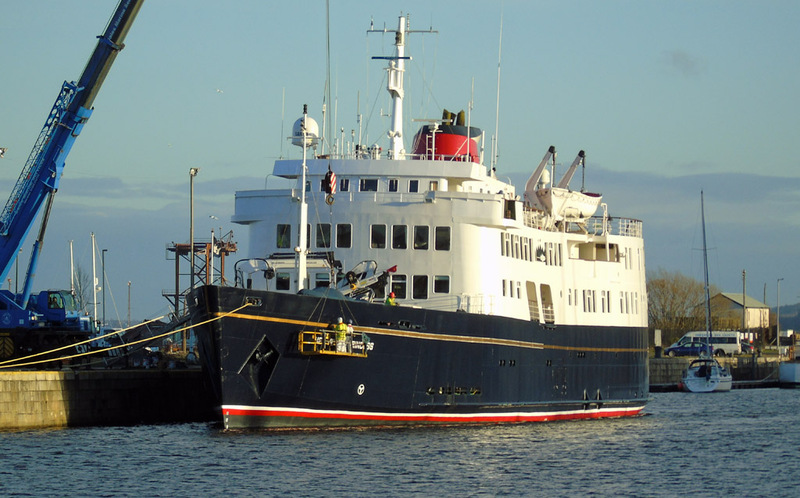 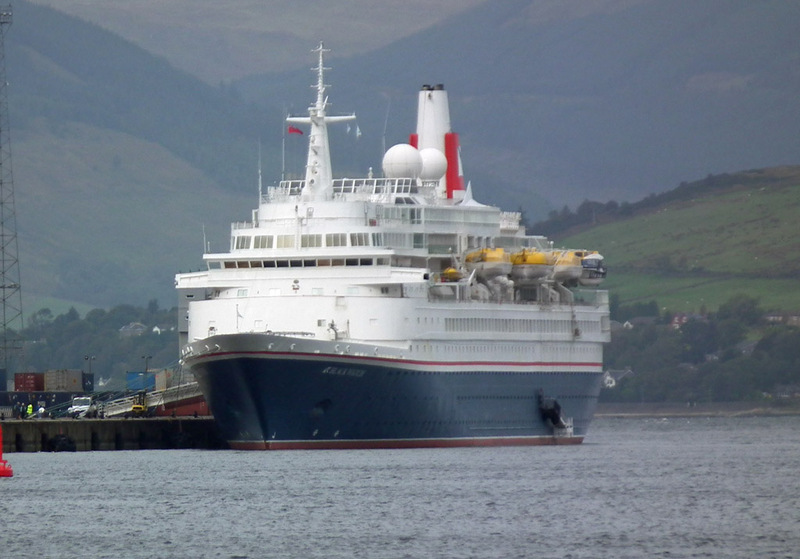 Fred Olsen's Black Watch docked at GOT 20 September 2018. 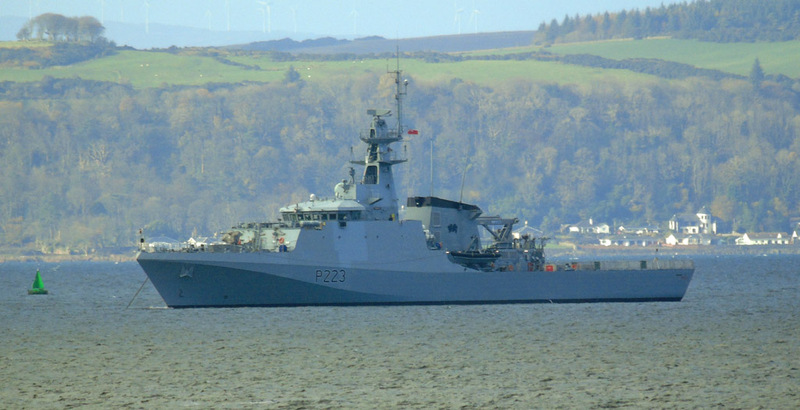 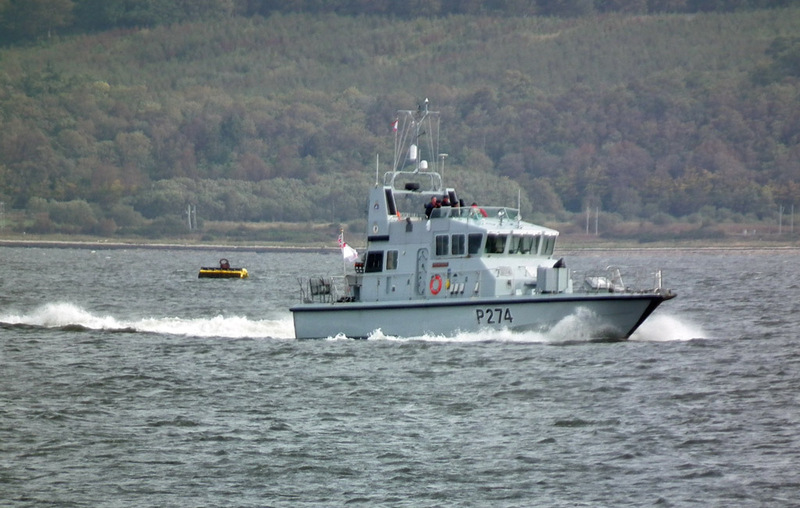 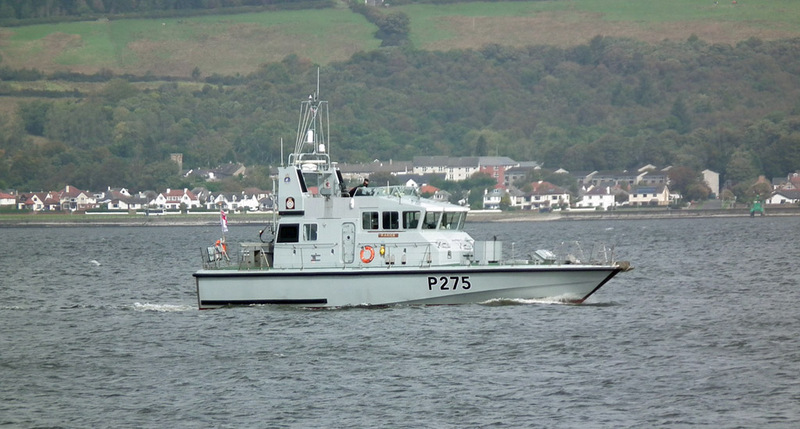 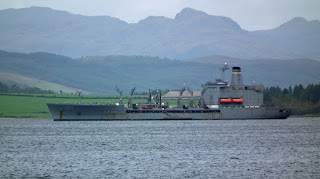 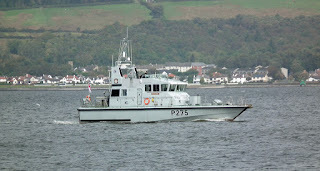 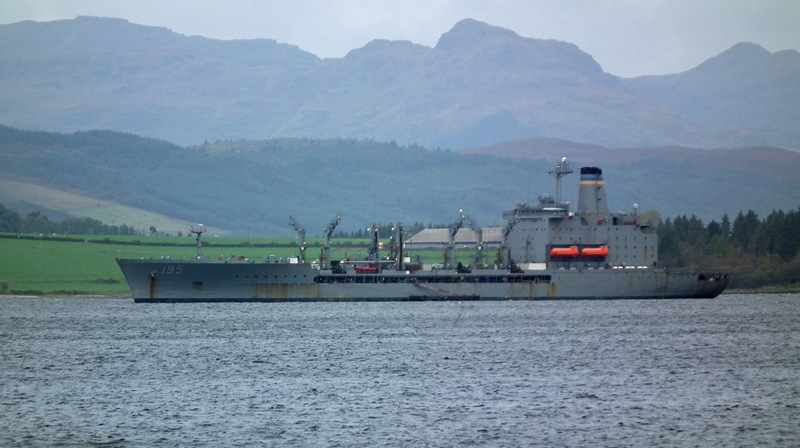 USNS Leroy Grumman (T-AO-195) off Greenock 20 September 2018. 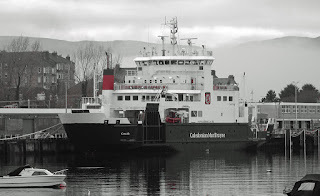 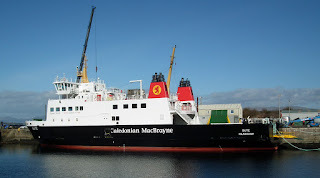 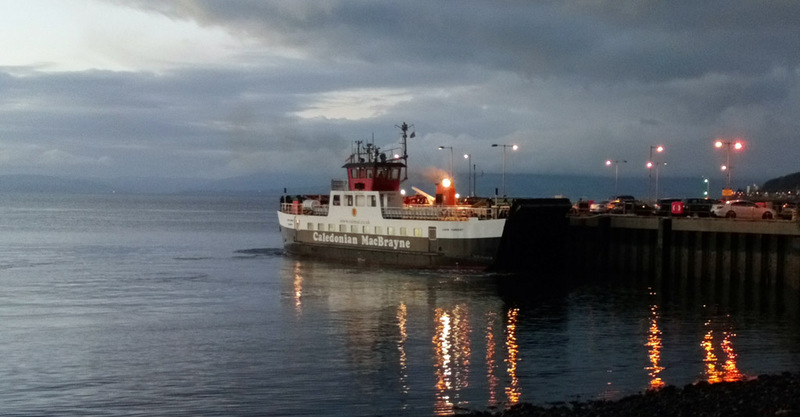 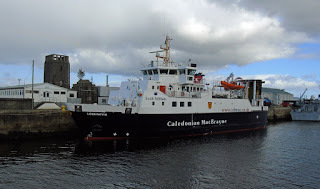 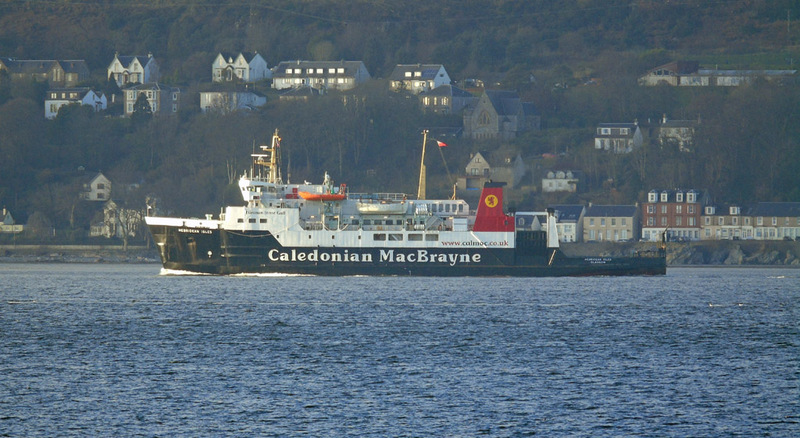 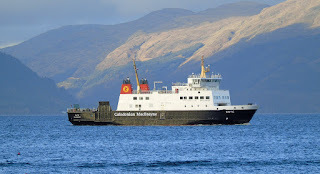 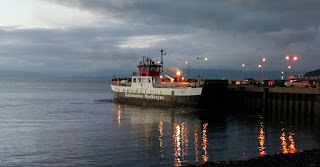 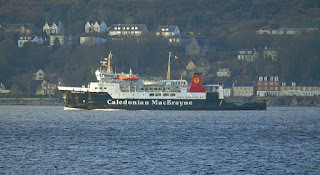 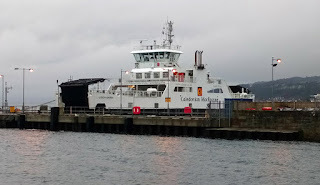 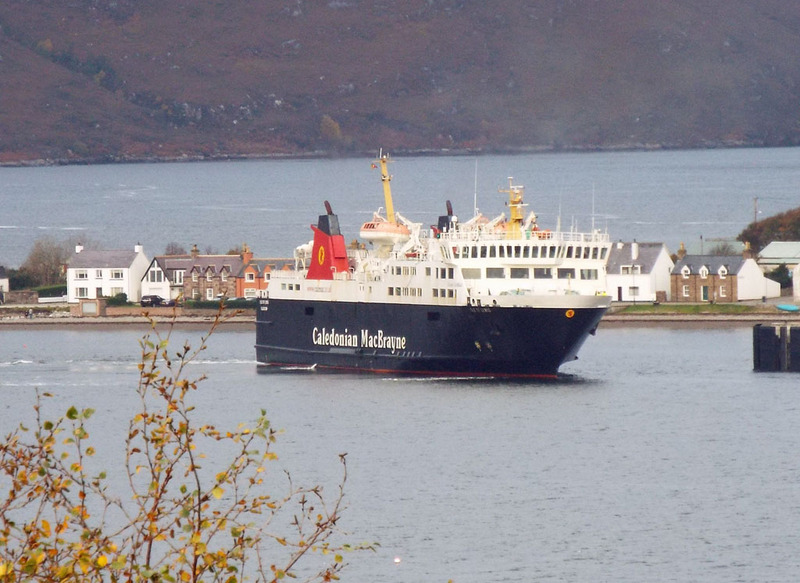 Calmac's ferries Loch Bhrusda and Loch Fyne (along with the rest of the Mallaig based vessels) were stormbound by Storm Ali 19 September 2018. 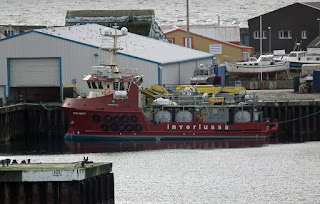 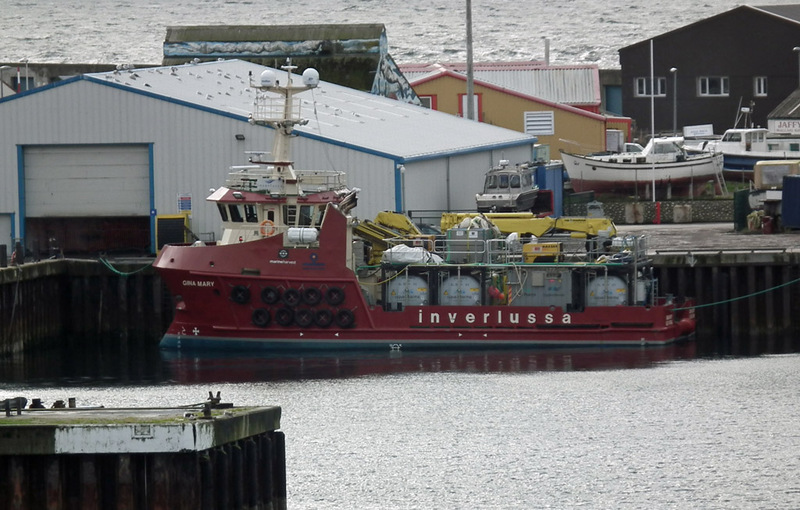 Inverlussa's "support vessel" Gina Mary in Mallaig Harbour 18 September 2018. 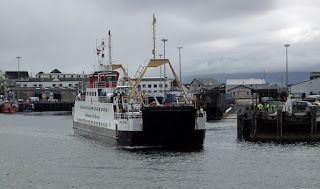 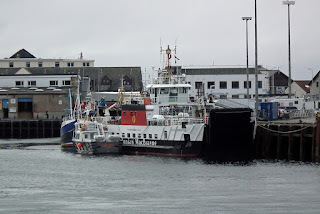 Small Isles ferry Loch Bhrusda in Mallaig Harbour 18 September 2018. 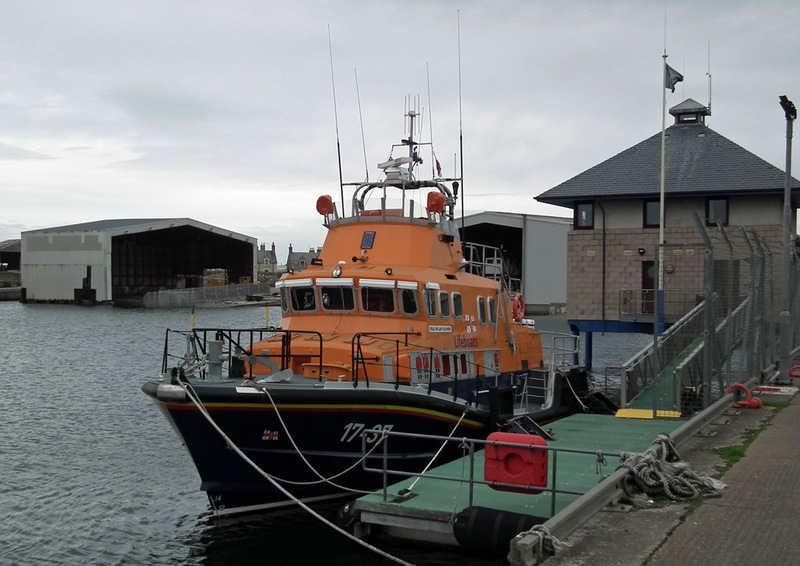 Severn class lifeboat RNLB William Blannin (17-37) on station in Buckie Harbour 10 September 2018. 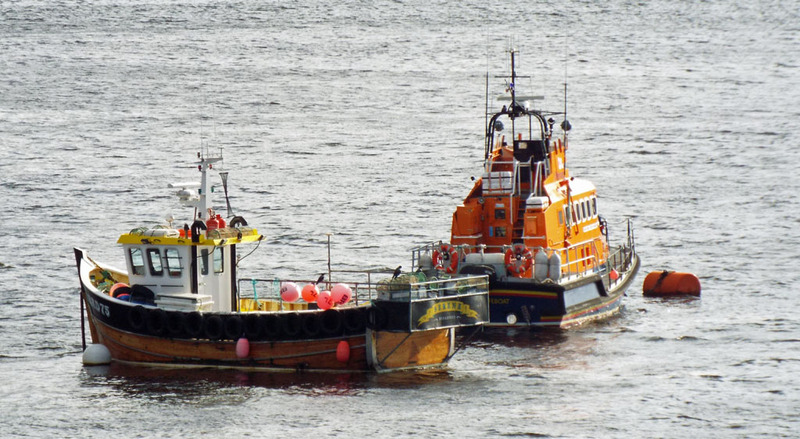 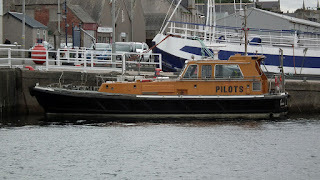 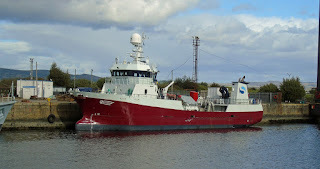 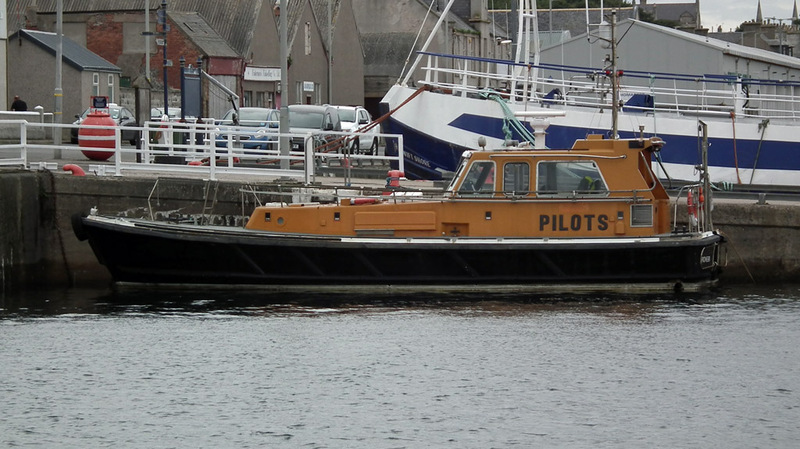 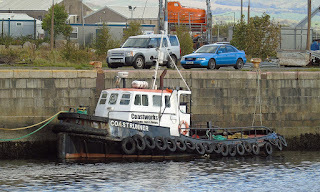 Buckie Harbour pilot cutter Pioneer on station 10 September 2018. 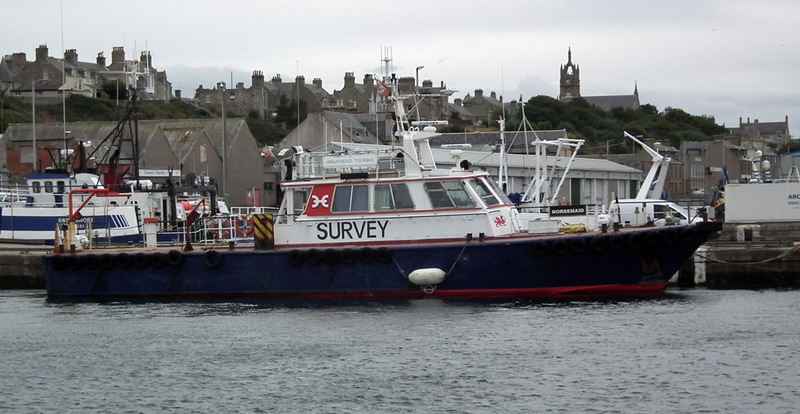 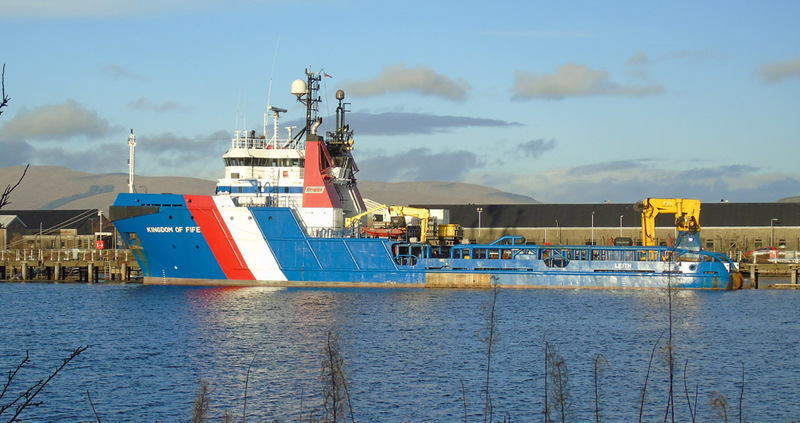 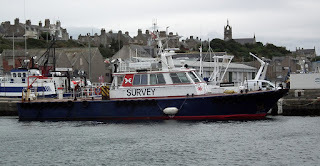 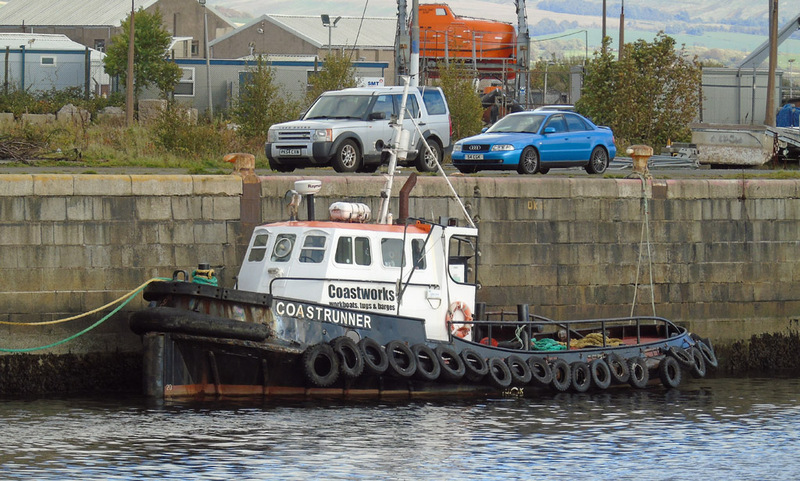 Holyhead Towing's survey vessel Norsemaid in Buckie Harbour 10 September 2018.